Bitter cold has descended upon Central Massachusetts once again. 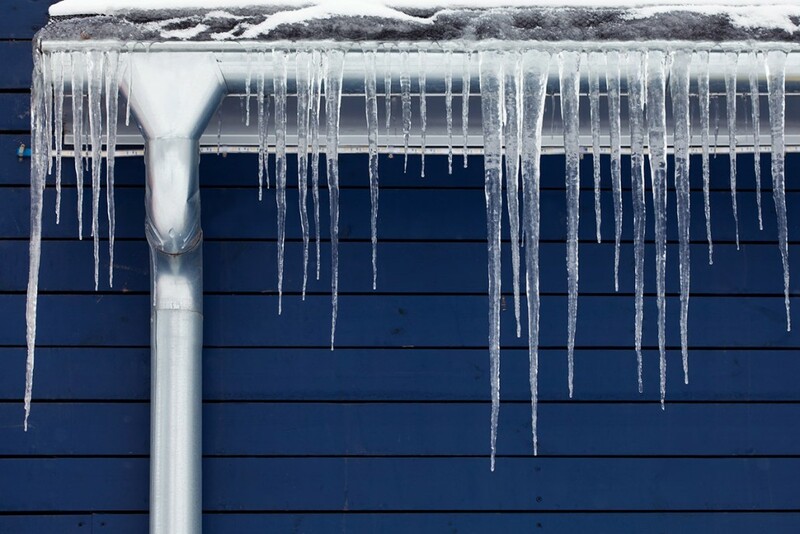 With it comes the threat of ice dams and water damage on your Webster or Douglas roof. At LJ Construction, we have had years of experience dealing with ice dams and offer these tips to help prevent them on your roof. As many Worcester area homeowners discovered last winter, ice dams can form when snow accumulates on your roof during subfreezing temperatures. If the snow partially melts and refreezes at night, an ice “dam” can form at the edge of roof. When the next wave of snowmelt flows down, the dam can cause it to back up and flow under your roofing material and even into your home’s interior. Preventing ice dams in the first place is vastly easier than fixing the resulting damage. Be sure that your attic is properly insulated from your living space. Keeping your attic air below 30 degrees in subfreezing weather will go a long way toward inhibiting the melting that precipitates ice dam formation. Also, examine the air flow in your attic. Proper roof venting ensures good outside air flow through your attic space, keeping the attic from warming up enough to melt snow on your roof deck. Accordingly, have your insulation contractor find and fill any leaks from your living space into your attic. The smallest leaks of warm air can have a big impact on the attic air temperature (not to mention your heating bill). Finally, if you are thinking about a new roof for your Sutton home, ask your roofer about installing an impermeable membrane on the lower roof deck to prevent water infiltration. Or, consider a standing seam metal roof, whose slick surface helps shed snow and helps prevent ice dam formation. For more information on ice dam prevention, roof venting or new roof questions, contact Dudley, MA-based LJ Construction today for a free site visit and estimate.